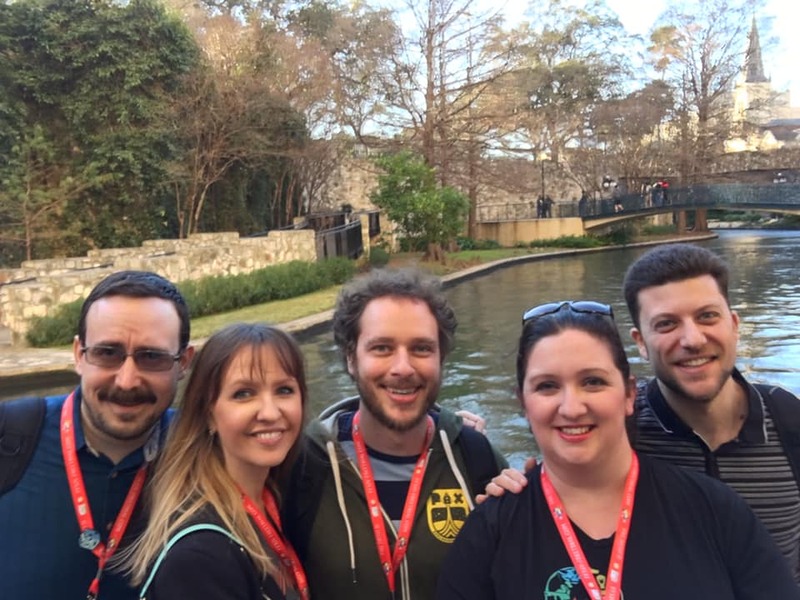 January has become the single biggest month of the year for me: not only do we host a big New Year’s party for our friends, but we then all travel to San Antonio for PAX South. It’s an interesting mix of business and pleasure as I go with a media pass to interview devs, network with folks, and play games, while hanging out with friends. 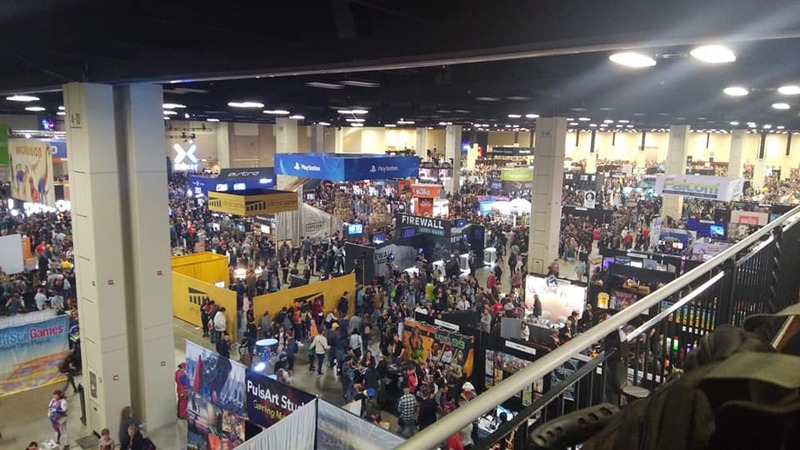 PAX South 2019 was my fourth PAX. I scheduled it very similarly to last year, front-loading my Friday full of press appointments and leaving Sunday open to wander around and check things out at my own pace. 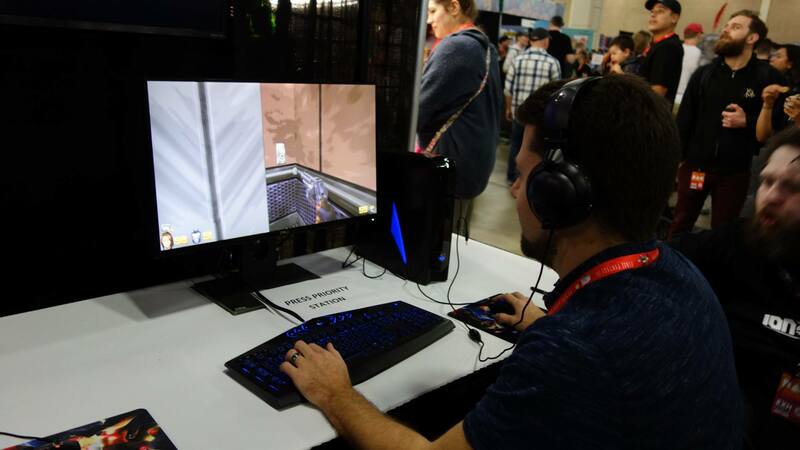 I also almost exclusively remained on the show floor and tabletop areas. I return exhausted but very satisfied, and sad that it all went by so quickly. This was the first year that Raymond couldn’t attend, though he actually lives the closest to San Antonio of any of us. Which meant we could meet him in dinner as we drove down! 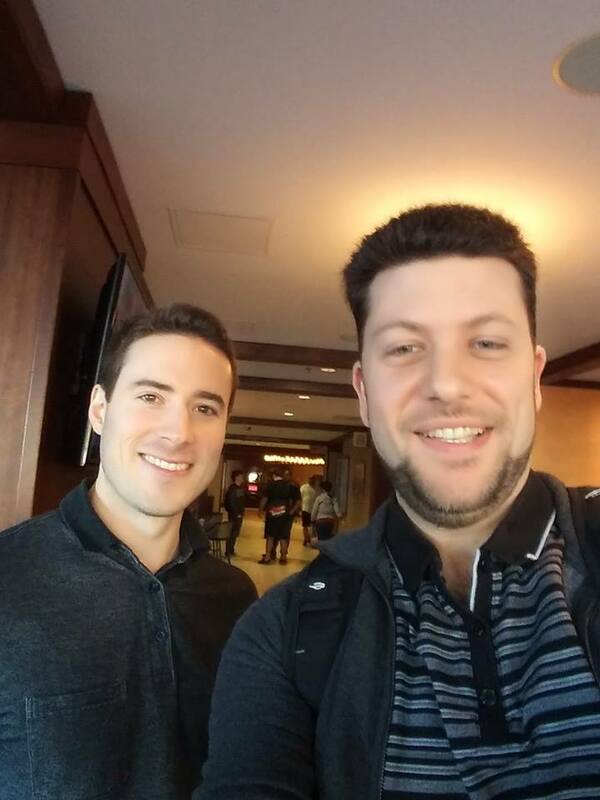 Chris flew into DFW and drove down with us as he did last year – and this time my wife got to go! 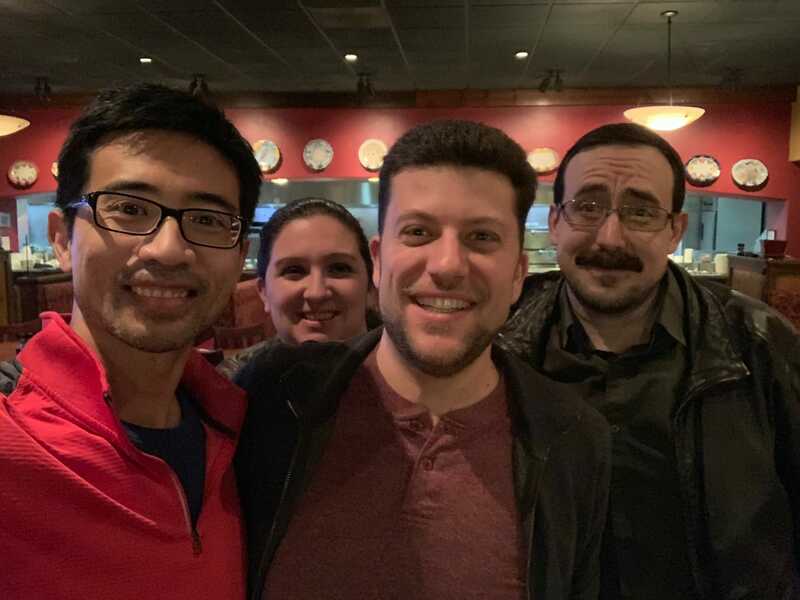 The four of us had dinner in Austin. By the time we got to the hotel it was around 11pm. The TRU by Hilton was smaller but nice, clean, and cheap! And also decently close to the convention center. I had brought several board games to play on Thursday night but we only got through a single game of Sagrada before we were tired from the 4+ hour drive. Like last year I packed my Friday full of back-to-back press appointments. It works well but is super exhausting. 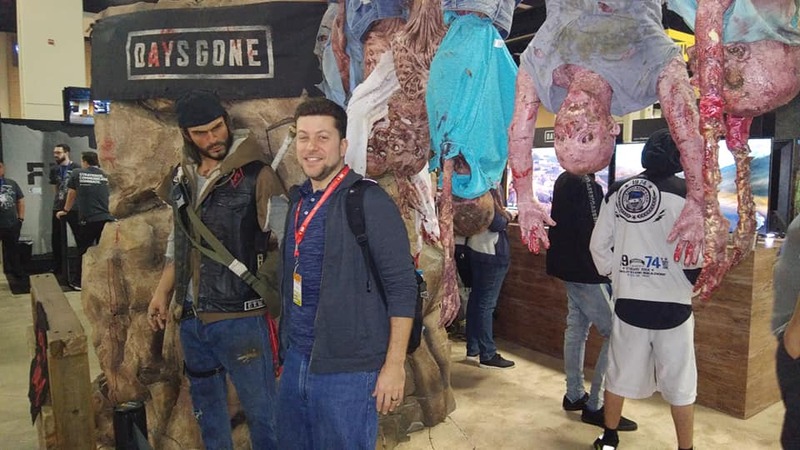 I was a bit late arriving to the Early Media Hour, but I was able to jump in to the Sony booth and play a 15-minute demo of Days Gone. 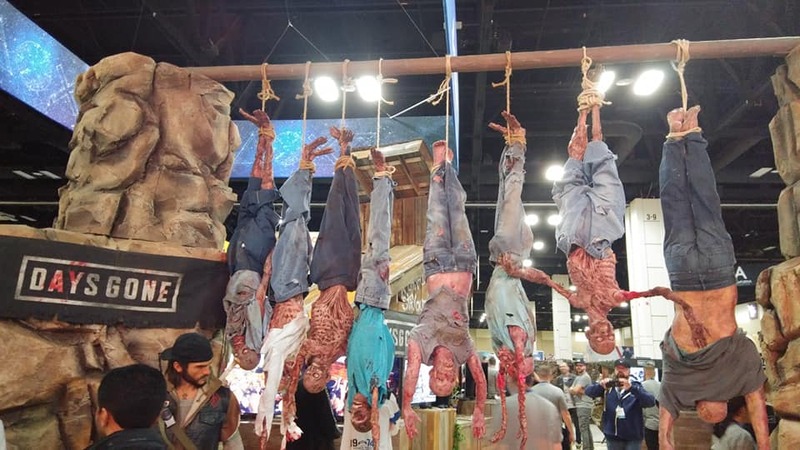 They had a large, gory booth right in the middle of the show floor. Days Gone played better than I was expecting, and I got some solid State of Decay vibes, though I rolled my eyes at the edgy tone. 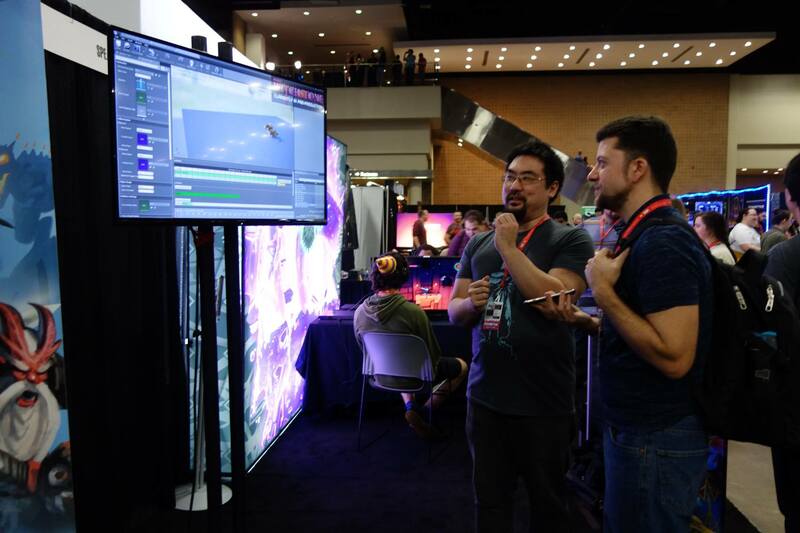 From there I glanced at Developer Digital, didn’t notice anything particularly new or noteworthy (unlike last year) and instead went to The Arcade Crew to play Dark Devotion (Dead Cells meets Dark Souls) and Young Souls (Co-op brawler-RPG). After that the show floor opened and it was appointment time. As you can see above, I saw and played a TON of games. 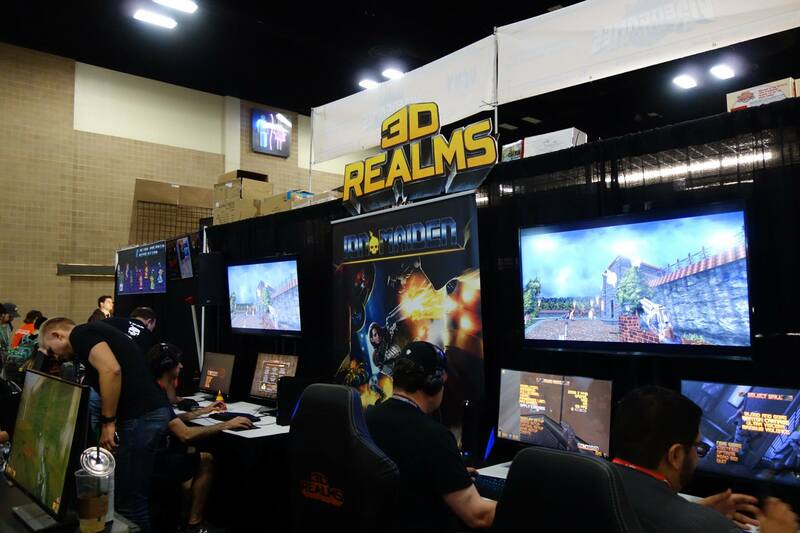 At one point I had to huff it to the nearby Grand Hyatt up to the 3rd floor to play an RTS VR game called Final Assault. I’ve never had particularity good VR experiences but this one was easily the best, with a fun tabletop wargame aesthetic as you dropped troops right onto the battlefield. Stand out games for me were Dicey Dungeons, a simple but fun roguelike dungeon crawler using dice that desperately needs a mobile version, Toejam and Earl: Back in the Groove which looked way more enjoyable and well-put together than I was expecting, and Stygian: Reign of the Old Gods, which resembled a Cthulhu version of an old Fallout RPG. I didn’t have time for many board game companies on Friday, but I did swing by to say hello to Tim Fowers of Fowers Games and Trey Chambers at Level 99 Games. 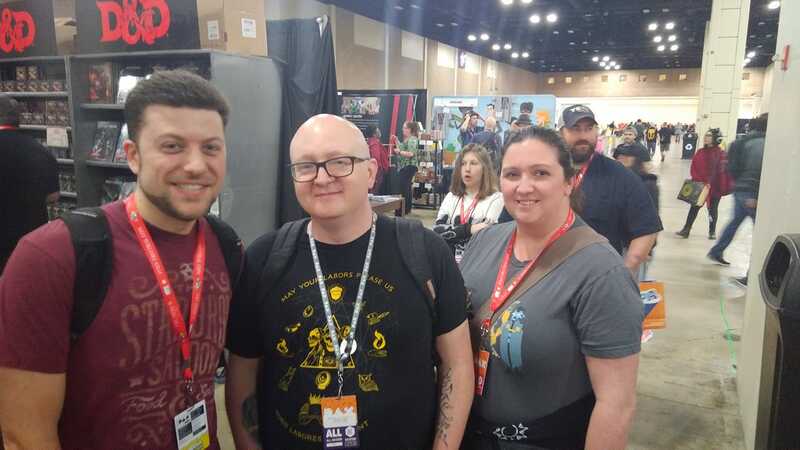 I also chatted with Pandasaurus’ new marketing manager, and hope to expand a full feature on their company for Tabletop Gaming Magazine. 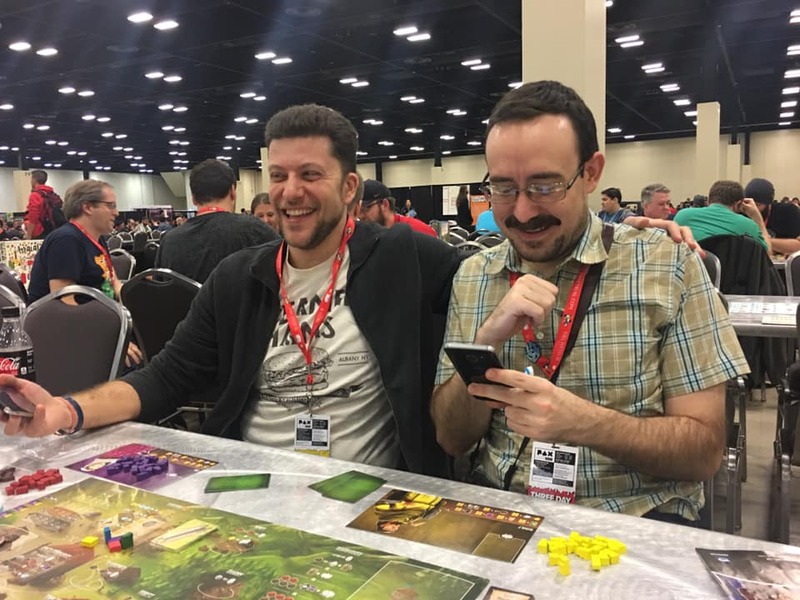 I also got to interview Matt Hudson from Dire Wolf Digital about all the new digital board games they’re making, as well as Clank Legacy: Acquisitions Incorporated. Then we geeked out about Tomb of Annihilation together! Reese and Rachelle met us in the afternoon, though I didn’t really get a chance to chat or hang out given my schedule. We even went to different dinners, as I had the Dire Wolf appointment at 6, and Heather was getting her Acq Inq autographs (she was first in line!) Heather and I had dinner at a delicious tex-mex place, Maria Mia, which is basically a tradition at this point, as is returning to the Tabletop freeplay area afterward. 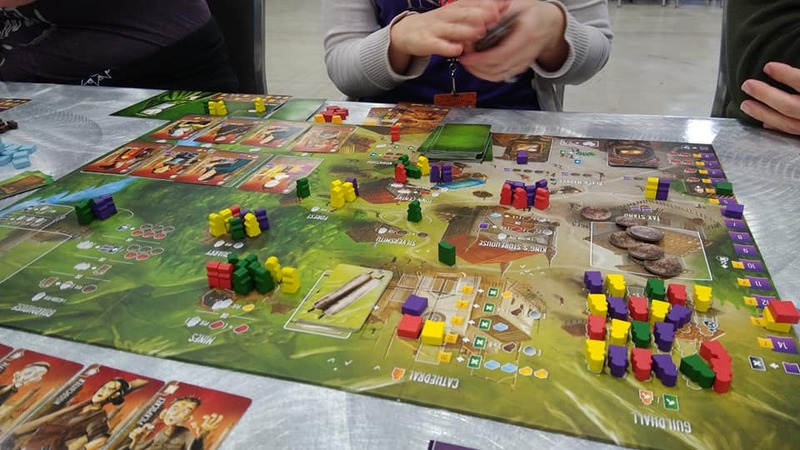 We only played one game that evening: Architects of the West Kingdom, but we all loved it and ended with a tree way tie, going to the 2nd tiebreaker! 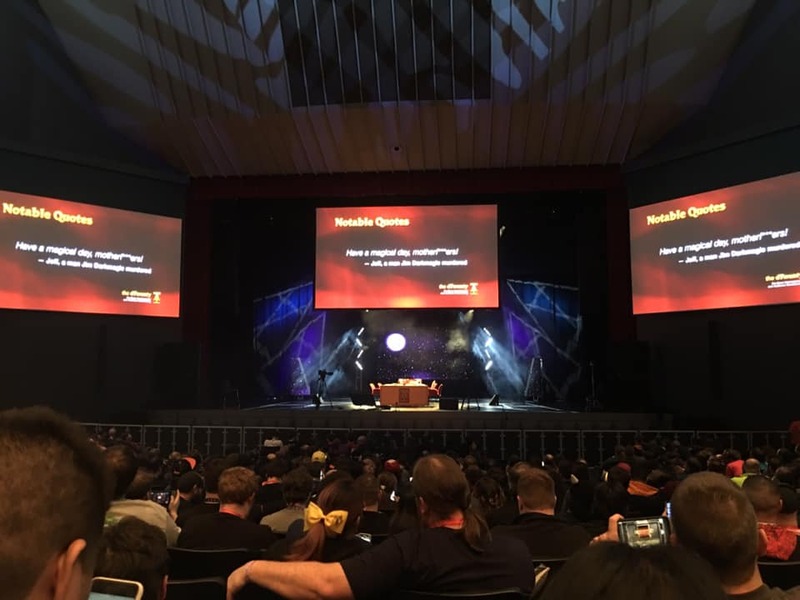 Saturday was a bit different this year because they moved the Acquisitions Incorporated game from afternoon to evening, 8p-11p. While this did give us a whole afternoon, we quickly realized that trying to navigate the show floor on Saturday is kind of awful – way more crowded! I had several more appointments to get through. 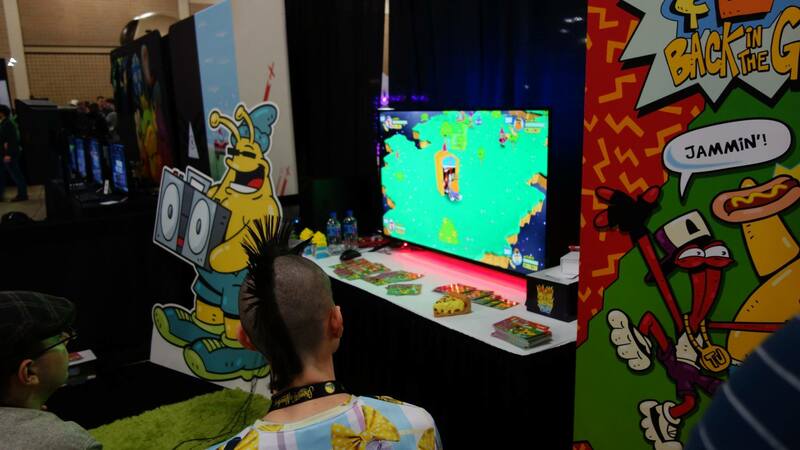 Lots of indie games that show well at PAX are little more than Mario Party-style minigames. That being said, Magequit was one of the best of those style games I played, capable of supporting up to 10 players in quick rounds where you gain more and more spells. Rezplz was another standout game and the lanky brothers at Longneck Studios were both friendly and informative to talk to. 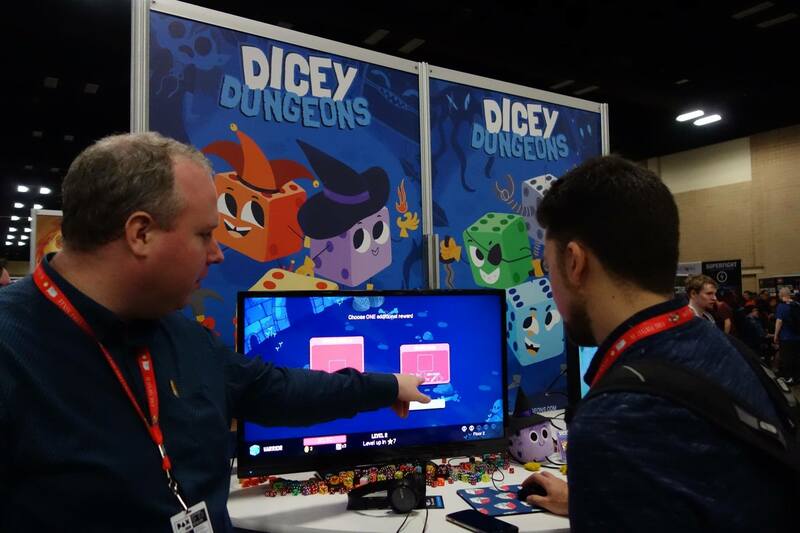 They were going fulltime and bringing their co-op puzzle-platformer to Kickstarter, but seemed very well prepared for it. Saturday was when I attended my only panel this year, a companion talk to Ashley Brandin’s Gaming in Education, which is particularly applicable to one of the main gaming sites I write for, Pixelkin.org. Panels take time away from playing games and talking to devs on the show floor, so I typically don’t schedule more than one or two. The highlight of my day came from chatting with folks. I got to interview Civilization 5 designer Jon Shafer at hotel lobby about his interesting career leading up to finally releasing At the Gates this week. Good dude! 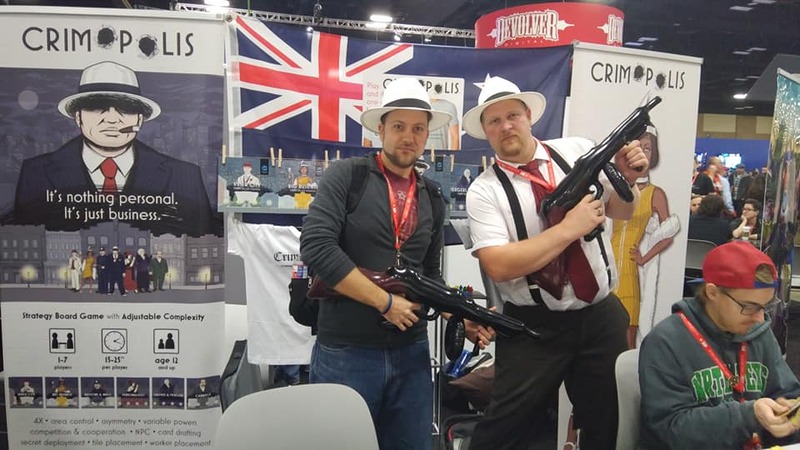 And then when we were resting mid-afternoon in the tabletop area, a fan of our YouTube channel, Ikarus Gaming, who was attending PAX with his son, found us! He was very nice and we took some pics together. We had to get an early dinner to be ready for Acq Inq that night. We ate at the Yard House, which was pricey but delicious, and right across from Maria Mia. The timing worked out great. We got in line around 7p as the queue line filled around us. We had great seats right in the front-middle and enjoyed the show, always one of our favorite parts of the entire convention. 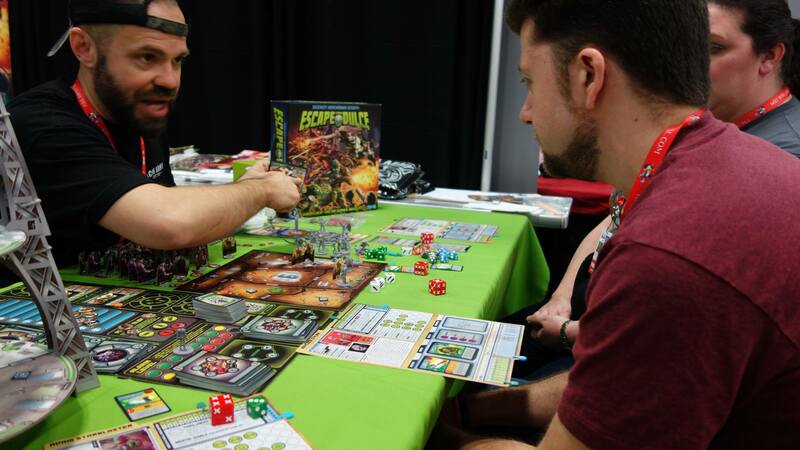 The last day of PAX is all about tabletop games. I had only a single appointment and it was first thing in the morning offsite at a hotel lobby (three offsite appointments this year, yeesh). 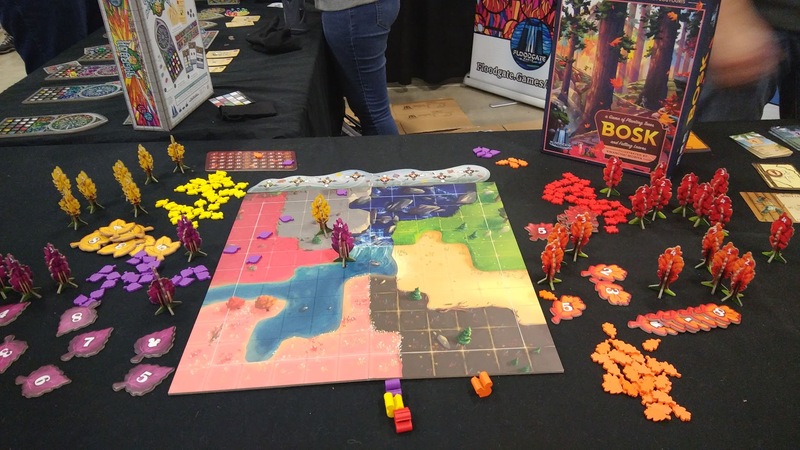 I went around to most of the new and upcoming games at the Tabletop Indie Showcase, and visited any booths I had my eye on but hadn’t had time before, such as Floodgate Games, Foxtrot Games, and Skybound Games. 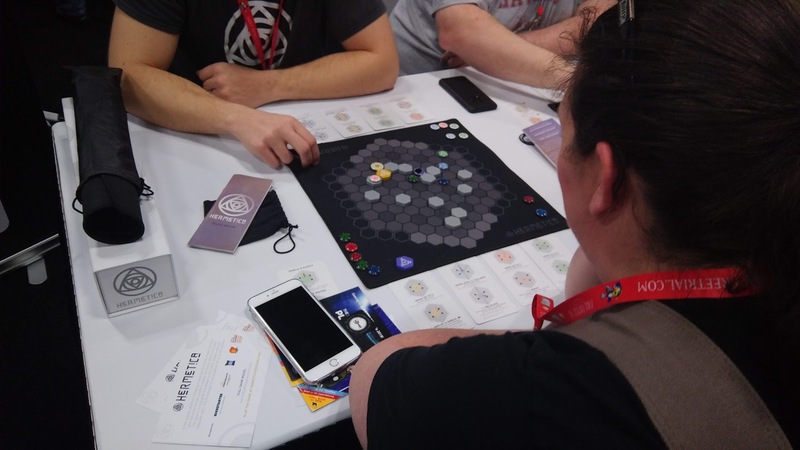 We also had a really fun demo experience from Craig Sawyer at Sentient Cow Games, playing the D&D-like sci-fi RPG Escape from Dulce. Oh and we also ran into Jerry Holkins. I told him I was worried about his character Omin after the game on Saturday! He was immediately nice and friendly. I think I get a chance to chat with him almost every year. 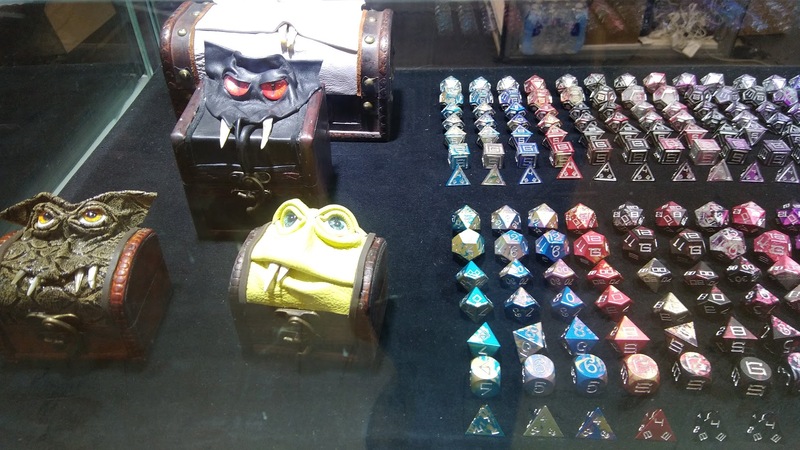 And of course, some merch shopping, including picking up some spiffy player mats from the Dice Throne folks. 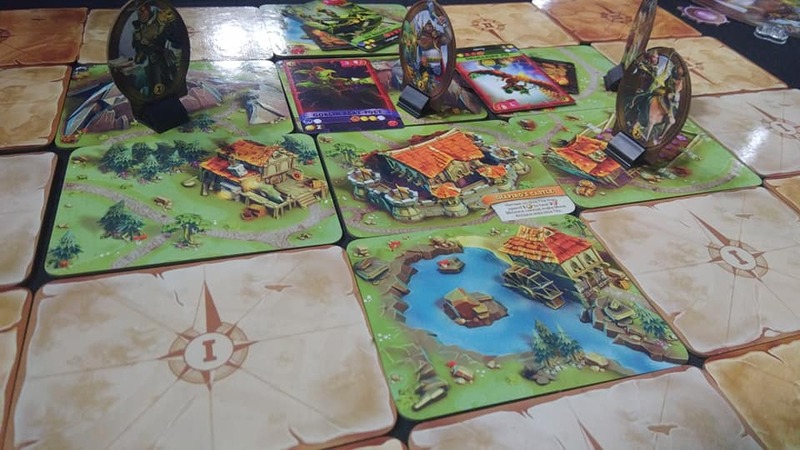 Have I mentioned that Dice Throne S2 is one of the most impressive Kickstarter board games I’ve ever seen? We left around 5:30p and met Raymond for dinner again near Austin, this time for fast food as our pockets were considerably lighter. 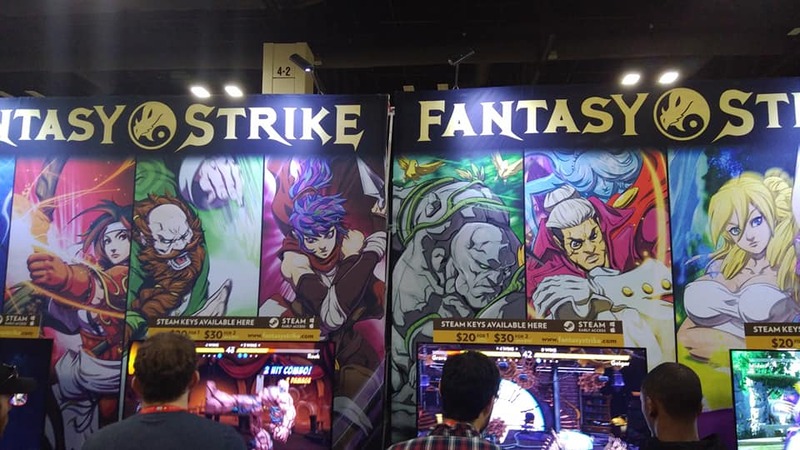 PAX South was fun, busy, productive, and wonderful, as always. A great chance to get together with friends as well as network with industry folks and play games. See you next year, San Antonio!